Heritage Hall is now connected! This picture of a pipe sticking out of the ground may not look like much to you, but it does to us! 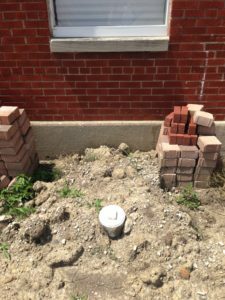 This pipe is our recent sewer line hook up to Heritage Hall, which will enable us to start work on the inside bathroom. A small but important step forward in our renovation. Tonight, Wednesday, July 27th we will be at the Dancin in the Streets concert in Clarendon Hills. Come by our table for give aways and to purchase a Daisy Cash Raffle ticket for $10 dollars each. Your odds will be better than the lottery to win! 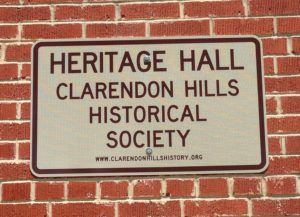 We will also have old photo reproductions for sale of Clarendon Hills! Proceeds to help us with our Heritage Hall renovation.